On May 9th, photographer Eddy Matuod found and photographed an unusual sandpiper at Inglewood Bird Sanctuary in Calgary, Alberta. 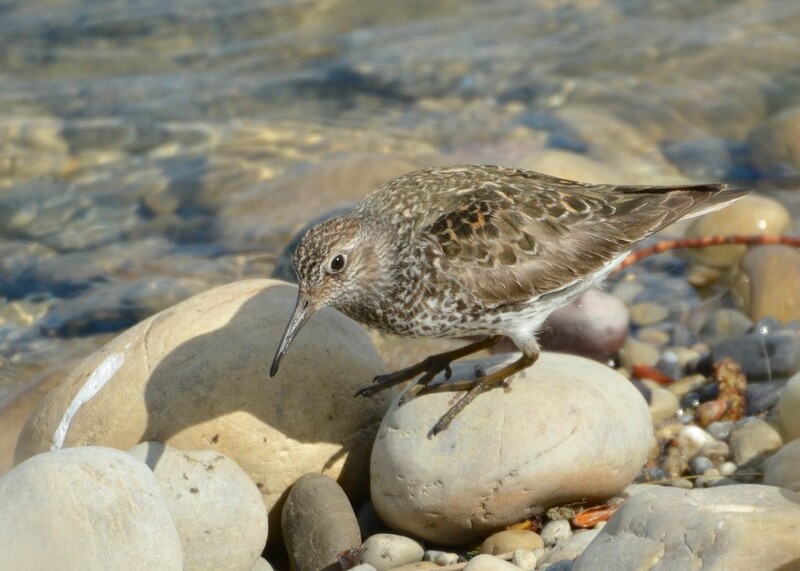 He was uncertain as to its identity, suspecting either Rock or Purple Sandpiper, and posted his find to the provincial listerv, where the identification seemed to galvinaize around Purple Sandpiper, a first for the province and western Canada. The bird was apparently a two-day wonder, not being seen after Saturday morning, May 11. Purple Sandpiper is a common "rock-piper" of both sides of the Atlantic, wintering to North Carolina with some regularity and semi-regularly south to Florida. It's annual in the eastern Great Lakes west to Lake Michigan, but is very rare farther west. Only a handful of records exist for this species in the western half of the continent, but it has been recorded in Oklahoma (2013), Utah (2010), and Alaska (1990).